To create a website layout for a personal project I am interested in pursuing. 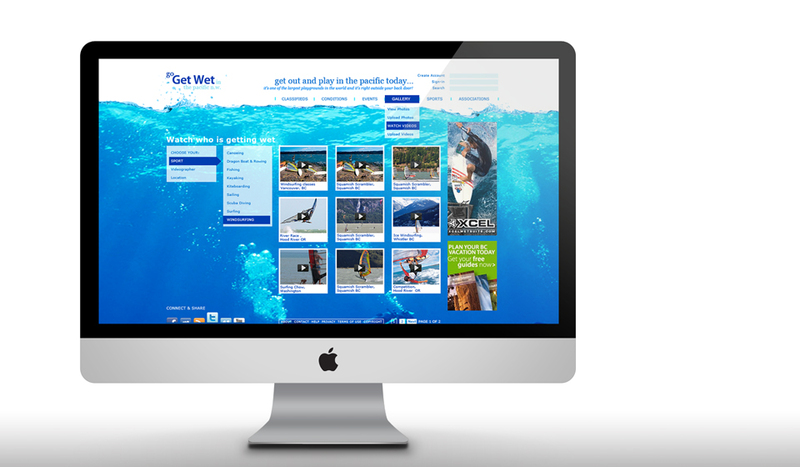 Get Wet is a website dedicated to creating an on-line community of water enthusiasts, from kite boarders to scuba divers. The purpose is to act as a central hub station where participants can share information and create contacts. This website layout was created in Photoshop. The final layout of this interactive page, where users can upload their own videos and photographs, is presented here. We live next to one of the largest playgrounds in the world, the Pacific Northwest. When was the last time you got out in it and played?